The 1957 Ferrari Scaglietti-bodied 335 S more than lived up to expectations as the star of Artcurial’s Salon Retromobile sale. Chassis no. 0674, owned by collector Pierre Bardinon, fetched €32,075,000, making it the second most expensive car ever sold at public auction. The sale also means that 9 out of the top 10 most valuable cars in the world are now Ferraris. 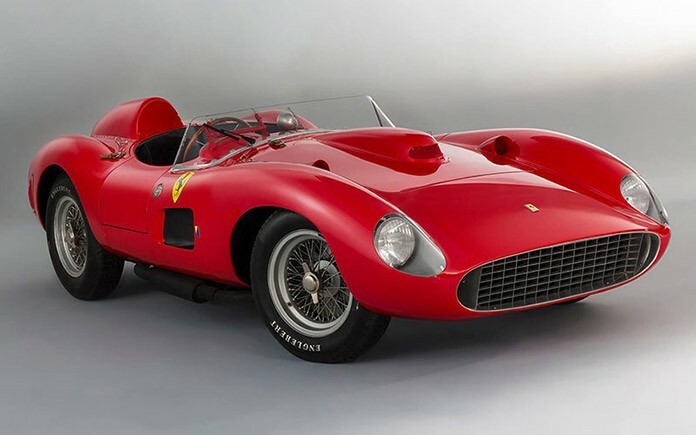 This car, which is in superb condition, enjoyed a brilliant racing career, finishing sixth in the 1957 12 Hours of Sebring with Peter Collins and Maurice Trintignant taking turns at its wheel. Wolfgang Von Trips drove it second across the line in the Mille Miglia in the same year in a one-two finish for the 335 S which also won in the hands of Piero Taruffi. The Scuderia Ferrari then sold the car to Luigi Chinetti’s North American Racing Team which competed it for quite some time, entrusting it the high-profile likes of Masten Gregory and Lance Reventlow. Sporting a 12-cylinder engine that punched out just short of 400 cv, the 335 S was incredibly fast and powerful. It set the first over 200 km/h average lap record in the history of the Le Mans 24 Hours in 1957 when it clocked the race fastest lap in the classic French endurance race. This lovely Ferrari also held true to its fast and furious past when it went under the hammer, taking just under a quarter of an hour to achieve its record sale price after brisk bidding between the two collectors vying for it.